This month's release of Barbara Mahany's most recent venture, Slowing Time: Seeing the Sacred Outside Your Kitchen Door, is just in time for the upcoming holiday season. For decades Mahany has engrossed thousands of readers through her work at the Chicago Tribune, and now she offers a wholly personal project from which readers may draw spiritual inspiration throughout the year. More than a collection of touching essays, Mahany includes snapshots of herself in the form of recipes and blessings calendars that reflect her Christian-Jewish household, as she modestly proffers advice for living one's best life by taking in the Holiness that surrounds us every day. Even if you were to dismiss all the warm wisdom of this impressive book, you could not possibly read the rhythmic prose without feeling the spiritual connectedness that Mahany describes. But the truth is, you won't dismiss anything from this naturally heartfelt collection. Mahany has created an engaging, interactive work that does more than invite readers to participate in her observations of the Sacred-- it compels her audience to seek out their own experiences. Her anecdotes soften hearts hardened by the hurriedness of the bustling world around us and allow a renewed sense of appreciation to wriggle in. 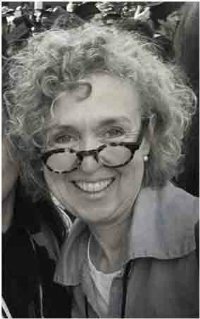 Perhaps most importantly, Barbara Mahany lives what she writes. This woman is the real deal, reaching out to the wounded world with enlightened care and compassion. A former pediatric oncology nurse she is both wise and experienced in the mysteries of interrupted cycles of life. As a mother to two sons for whom she cooks with joy and attention to the seasons and the Holidays that come with quicker frequency in a Catholic-Jewish household, the spirituality of her days is sometimes whipped up in her kitchen. Hence, the recipes that are a touchstone of this book and bring the seasons softly into her home along with "flour-dusted countertops on the afternoon my grandma's famed cut-out cookies demand to be rolled and baked and iced, then tucked for safekeeping in wax-paper blanketed tins...curling into the couch, under the red buffalo-check blanket...with O.Henry's 'The Gift of the Magi,' the Christmas classic that forever defines the art of selfless giving." It is at once Poetry as well the Homely recipe collection that Mahany's Slowing Time is in this many layered treasure. Happily married to a Pulitzer Prize winning Architecture Writer, the reader can sense the warmth and even pleasant kitchen aromas that emanate from a happy house even as blankets go raggedy and socks go missing and cancer stops at a neighbor's home for a child. She reminds us of the pain that comes with homelessness and hunger and encourages each of us to "find the face of God in everyone you meet." She shares with readers the impressive dedication of Frank and Kay Fennell, who work diligently to provide meals to the desperate and gently suggests ways in which we too can engage in small acts of kindness. She recalls the tragedies of cancer and suicide that plagued a dear friend's family and builds beautifully poetic metaphors that paint purpose for the observers of such tribulations. 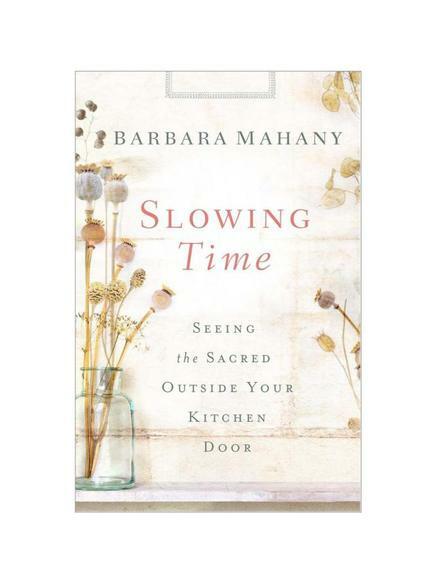 Barbara Mahany emphasizes the importance of being always observant of life's details, and she does so with humility, in a way that is far from preachy. "Deep in the truth of all of us lies the rough draft that demands edit after edit," she writes. Within the poetic sounds of her writing, you will find the keys to writing for yourself a most fulfilled life. This private precious work is at once memoir, celebration of nature and an unembarrassed acknowledgement of God. Slowing Time, published by Abingdon Press, is a beautiful gift for yourself or loved ones.